HRCONTROL HUMAN RESOURCE MANAGEMENT SYSTEM. People & Knowledge… principal sources of competitive advantage & performance for successful organizations, in Thailand as well as around the globe. Consequently, managers and HR professionals focus on HR strategies & processes, in order to steer employees towards company success. Today, mastering complex processes while staying on track towards organizational goals can be advanced & simplified with a modern HR management software. 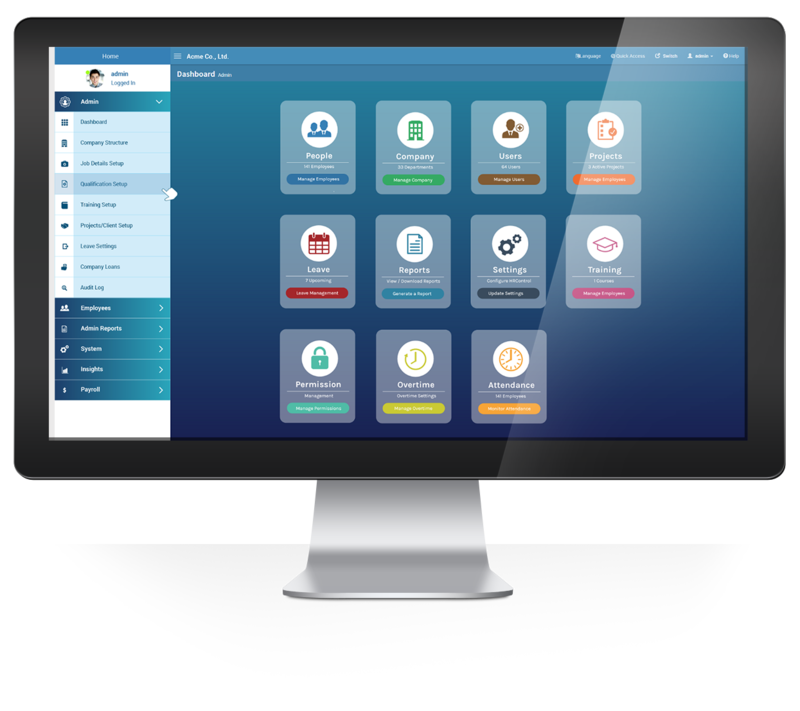 HRControl is a comprehensive HR Management System, which centralizes data and automates complex HR processes and tasks throughout the organization. Above all, our HR solution puts HR professionals in control of essential employee recruitment, performance management, talent development and HR administration functions, and frees their valuable time to focus on strategic, value-add activities. Furthermore, HRControl leverages employee-related data to improve decision-making, productivity and employee engagement. Integrate with other systems such as door access technology, VoIP, LMS etc…. HRControl is a solution commonly delivered in partnership with leading management consultants – our project delivery partners live, breath & talk HR, and their HR consultants understand the common challenges and best practice approaches of realizing successful HR strategies. In this partnership, Infinity IT Success looks after the technical development & service delivery side of the equation: your trusted IT partner & solutions provider focused on delivering a quality IT platform and great service. Software-as-a-Service (SaaS) is a low-risk, pay-as-you go model for delivering software. Instead of buying, hosting & and managing the software yourself, we provide it as a continuous managed service including hosting, maintenance, upgrades, training etc.…And you only pay on a monthly, predictable per-user basis. Your accountant will love it. Unlike others, we don’t just sell you a service contract, launch it and then disappear. As professional HR experts our focus is implementation excellence. To address the complexity of aligning people & process with the move to a software platform, we engage with your HR professionals & user teams before, during and after the implementation project. To advance a project, compare between competitive choices, and to make a decision, you often require a price from your service provider. We will work with you to give you that price in a formal quotation…and a clear scope and list of deliverables, too.